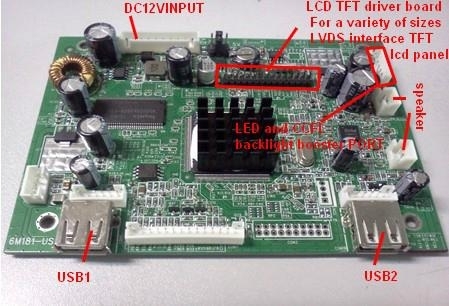 (1) CCFL and LED backlight boost board, suitable for all size LCD screen Panel. (3) advertising dedicated decoder board (with remote control), to support vertical screen image display, menu vertical screen time display vertical screen, vertical screen display subtitles. Start to play automatically, time, timer switch, support U disk（USB device,usb Memory stick) one-touch copied, reproduced, delete function. really simple intelligent operation.